David Flug (Floral Park) - Book Appointment Online! 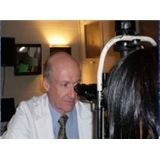 Located in the center of Forest Hills and in Floral Park, Dr David Flug is a board certified ophthalmologist (an eye doctor who treats eye disease and does eye surgery) who has over 20 years of experience providing eye care to thousands of patients in Queens, Nassau and the surrounding metro area. Services provided range from comprehensive eye examinations of people of all ages to surgical and laser treatment of the eye for conditions such as cataract and glaucoma and diabetes. Our Forest Hills office is coveniently located 1 block from the Continental Avenue subway station. We now have ample metered street parking right in front of our office. The office is open every weekday. This includes evening hours and scheduled Sunday hours.